Pastor Matt Staniz | Searching for the sacred…anywhere and everywhere. PREFACE: A late addition for Monday. On Monday evening, the team was hosted for a light dinner st the home of Mama Monguri (“mama” is a term of respect for an elder woman). 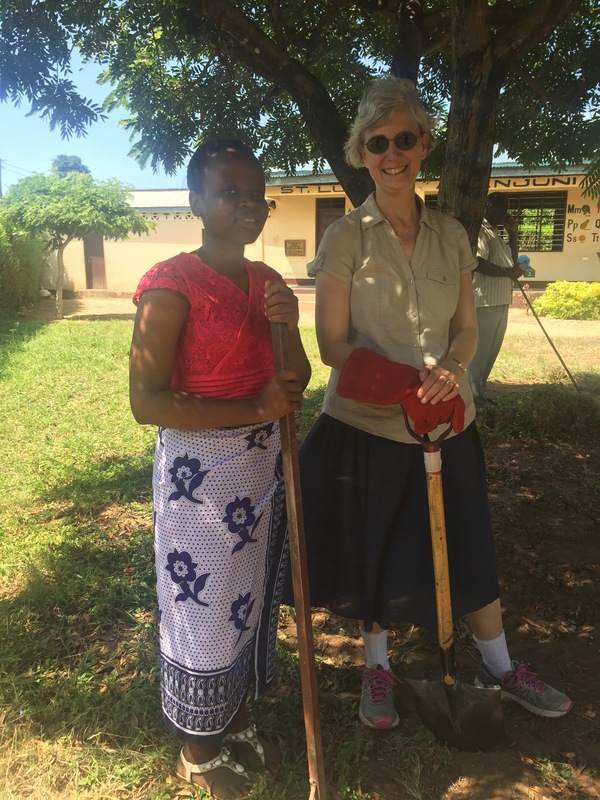 She is the leader of the Masamaria (Samaritan) group at Mikanjuni Lutheran Parish, a group for widows that prepared nearly every meal for the travelers while in Tanga. The group arranged the driveway to resemble an outdoor bistro. 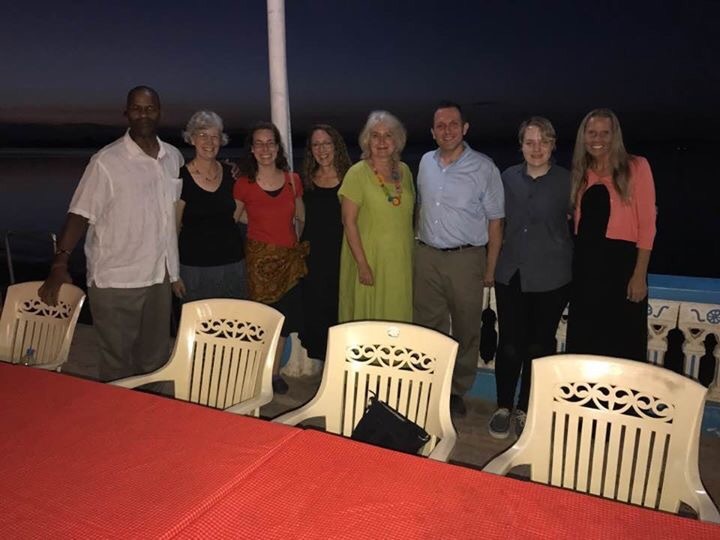 After dinner under a star-filled sky, the group presented a gift of handkerchiefs to us marked with a logo representing the partnership of Saint Luke and Mikanjuni. They also sang “What a Friend we Have in Jesus” in Swahili. On Tuesday, the travelers were hosted by Mr. Julius Shoo who visited Saint Luke in 2015. 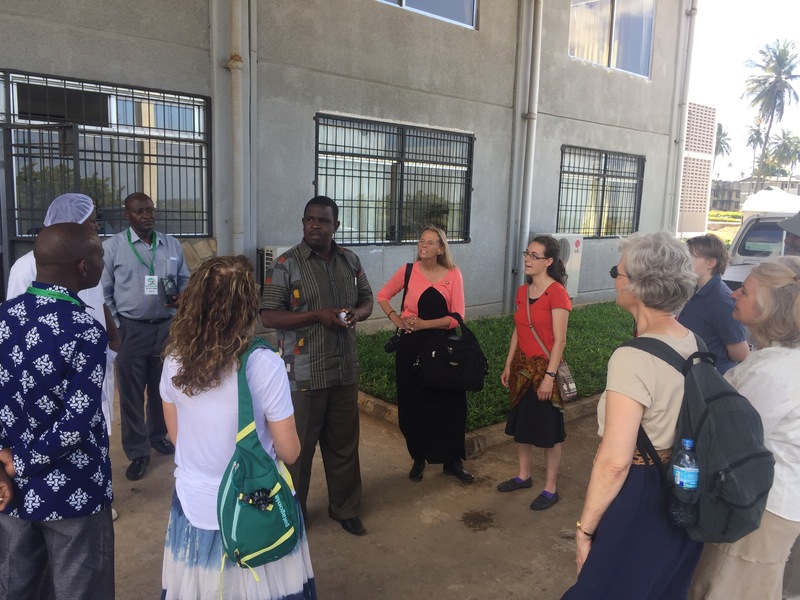 He gave us a tour of his agriculture business, including a stop at his 40-acre dairy farm, the milk collection site of the co-op he is trying to grow, the Tanga Fresh processing plant that he sells milk to, his office and shop in the city, and his home and adjacent small farm. He is working to train and equip small farmers to adopt more effective and sustainable practices to help grow the local dairy industry and the regional economy. At his home, he is experimenting with new practices that he can pass along to other farmers. His farm manager is preparing to attend an agricultural training program, which has been made possible by a scholarship from The African Education Program gifted by a member of Saint Luke. After lunch, the travelers spent the late afternoon experiencing the markets in Tanga, which was a very different experience than American shopping. The team met for dinner and our final meeting with the Mikanjuni Lutheran Parish partnership committee. We were brought to a table on a patio overlooking the water off of the Indian Ocean. We arrived just as the sunset ended; it was a truly stunning setting. After a relaxed dinner, our hosts presented each travelled with colorful African fabric: wraps for the women and cloth for the men to have shirts made from. We presented gifts from Saint Luke to our hosts (along with suitcases full of soccer balls and supplies for the nursery school that we dropped off at the church earlier in the day). We stood in a circle holding hands and sharing words of gratitude and reflection on the visit. There were many smiles and several tears as we shared words of farewell to everyone except for Pastor Ngoda who will accompany us to Lushoto and our faithful and long-suffering driver, Charlie. Preparing for farewell dinner in Tanga. As I prayed with our partners from Mikanjuni Lutheran Parish, it was clear that God has many good things in store for our shared future. Bwana Asifiwe! (Praise the Lord!) Amen! Tomorrow we depart for Lushoto (4 hour drive), where we will spend a few days visiting ministries of the North Eastern Diocese of the ELCT. The travelers spent Monday at Mikanjuni Lutheran Parish. The task for the day was breaking ground for the playground that will serve Saint Luke Mikanjuni Nursery School, the parish, and local children. 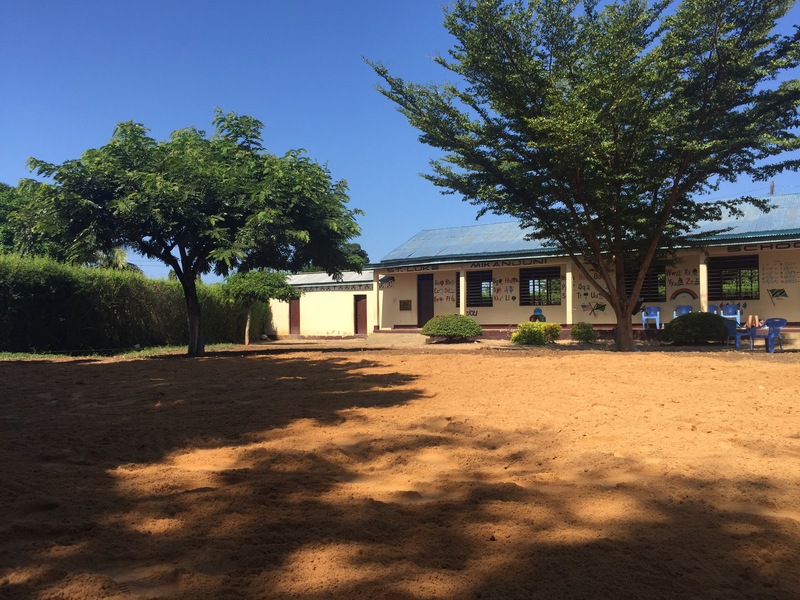 The day’s task was to remove grass and level off a large plot in front of the school building. 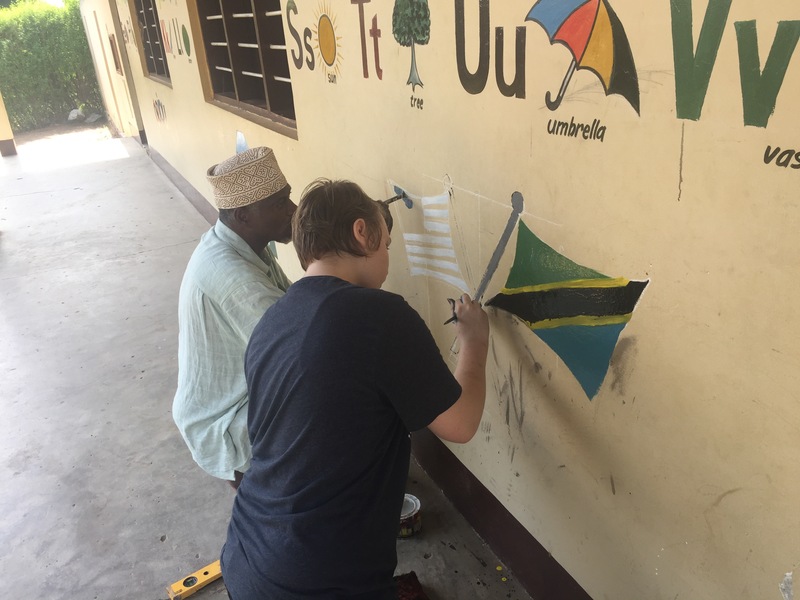 Amber Staniz worked with a local man painting a mural of the Tanzanian and US flags on the building. They each painted the other country’s flag. Although language barrier made it impossible to stop some inaccuracies in the US flag, the final mural is both charming and a wonderful reflection of our global relstionship. 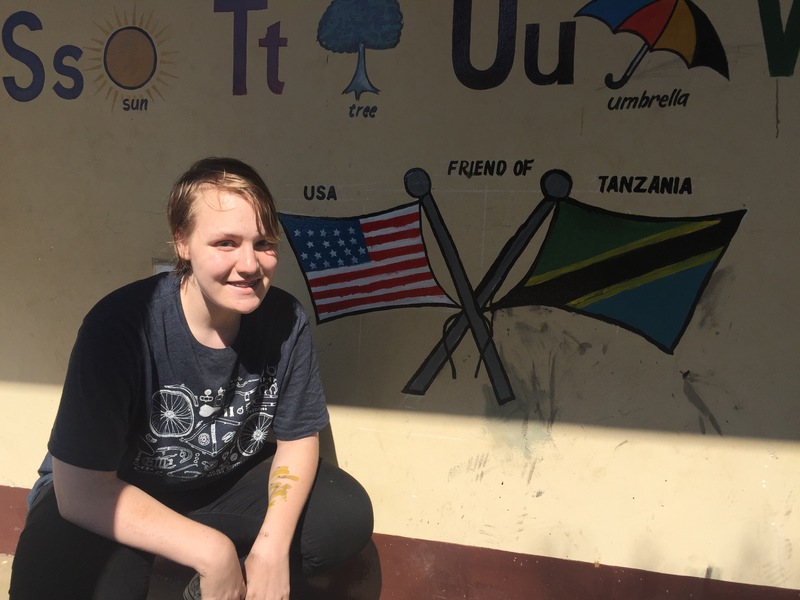 “USA friend of Tanzania” mural. Even though it is winter in Tanga, it was an oppressively hot day by Pennsylvania standards. The team worked hard, but began to fade by midafternoon. Several members of the Parish were there and continued until the lot was leveled and a truckload of sand was spread. It was clear that they were much more capable of working in the heat than their American counterparts, but they were far too kind and gracious to indicate if they were amused by us. The playground is ready…equipment coming soon! After the work was completed we returned to our hotel to shower away the dust and sweat. Half of the travelers walked to a nearby hotel to go swimming, the other half focused on resting, showering and blogging. The team plans to spend time organizing all of the items that will be donated to the nursery school and gifts for our hosts from Mikanjuni Lutheran Parish. Tuesday will be our final full day in Tanga, filled with every possible opportunity to learn more about our partners here and the city they live in. Sunday started early, as worship at Mikanjuni begins at 7:30am. The service was filled with wonderful music from 4 different music teams. The church was full to capacity, approximately 400-500 people. For a portion of the service a chicken stood at the front of the sanctuary after working itself loose from the bag it came in (some members bring crops or livestock as an offering, which are auctioned after worship). I had the honor of preaching with Pastor Ngoda interpreting. It was a remarkable moment that I will never forget. The service lasted about two hours and ended with the entire congregation exiting the building as they sang the final hymn. In-kind offerings were auctioned followed by vibrant fellowship outside. The children were blessed in worship as they went to Sunday School. The travelers then had a productive meeting with the Partnership Committee discussing how the relationship between Saint Luke and Mikanjuni can continue to grow. We visited a sub-parish of Mikanjuni that currently worships in a house. They have raised $12,500 toward purchase of land to build on and need to raise $5,000 to purchase the lot. 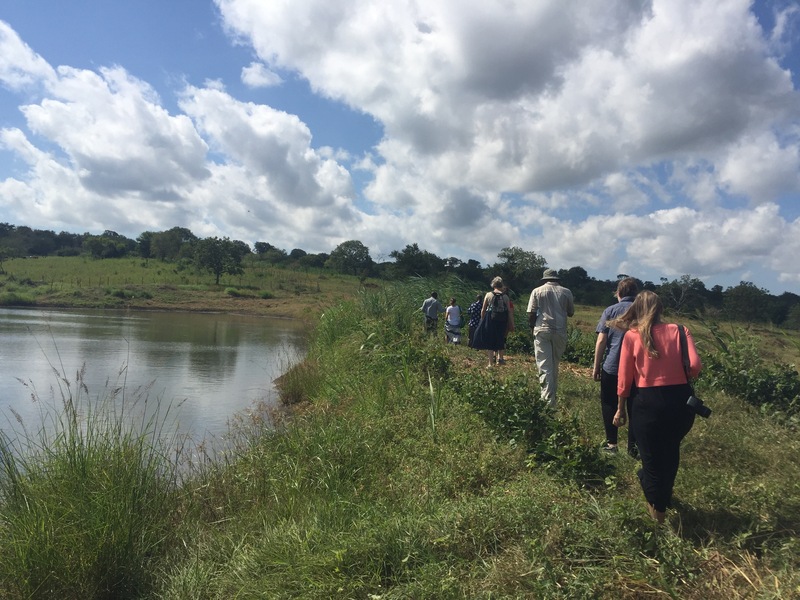 While visiting the site, we had the opportunity to see and walk along the edge of the Indian Ocean. After a late lunch, we met with several groups from Mikanjuni: music teams, women’s group, an elder choir, and others. We learned about their ministries and told them about Saint Luke. 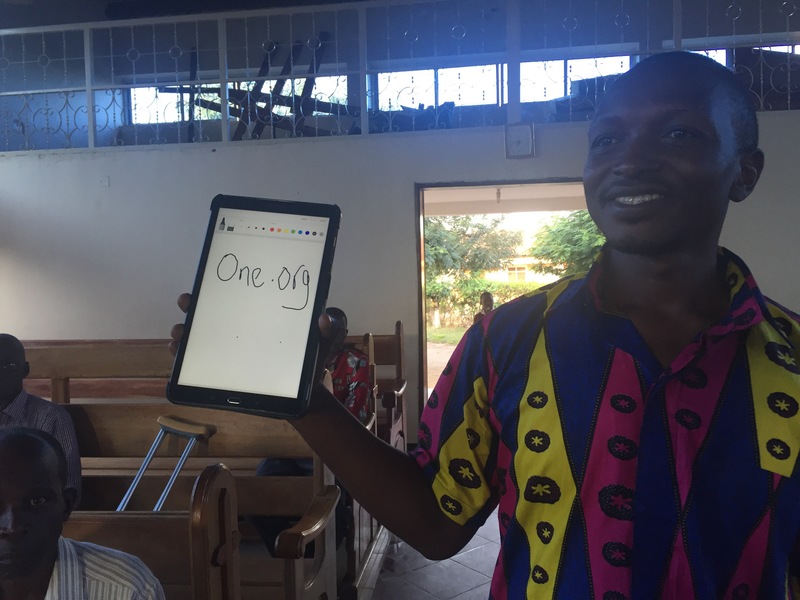 I was then given the opportunity to address all the groups about the work of the ONE Campaign and the global effort to end extreme poverty. I shared my conviction that Christianity must care for the poor and that I see the Lutheran Church in Tanzania taking that task seriously. I told them about the global advocacy effort the ONE leads and then asked them to give me their ideas on how poverty can be addressed in Tanga. An important and lively conversation started that convinced me that the people of Tanzania are ready and capable of bringing about great change. I encouraged them to continue the conversation as an expression of their faith. I also gave them instruction on how to add their names to the growing list of 8 million ONE members. It was a long and blessed day as we returned to our hotel and made plans for dinner. 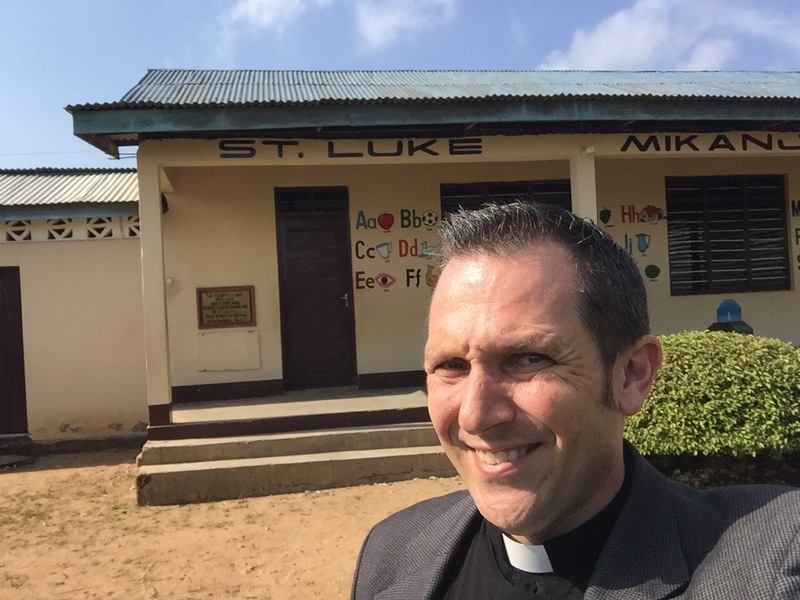 This morning we were excited to see Mikanjuni Lutheran Parish for the first time. As our Land Cruiser unloaded we were greeted with song by members of the partnership committee. 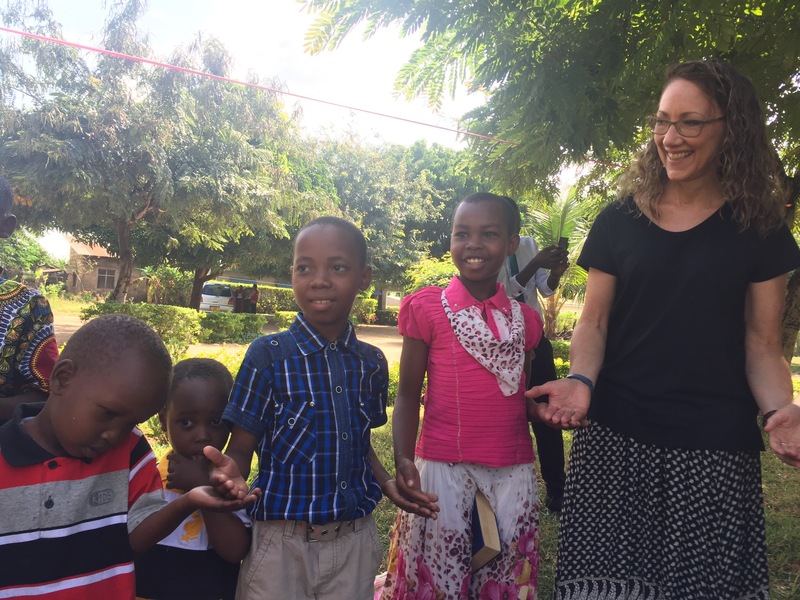 We toured the church and the Saint Luke Mikanjuni Nursery School. Over tea, we exchanged introductions and then saw the area that will become a playground. We then departed Tanga and drove far out into the bush to meet a Maasai tribe. 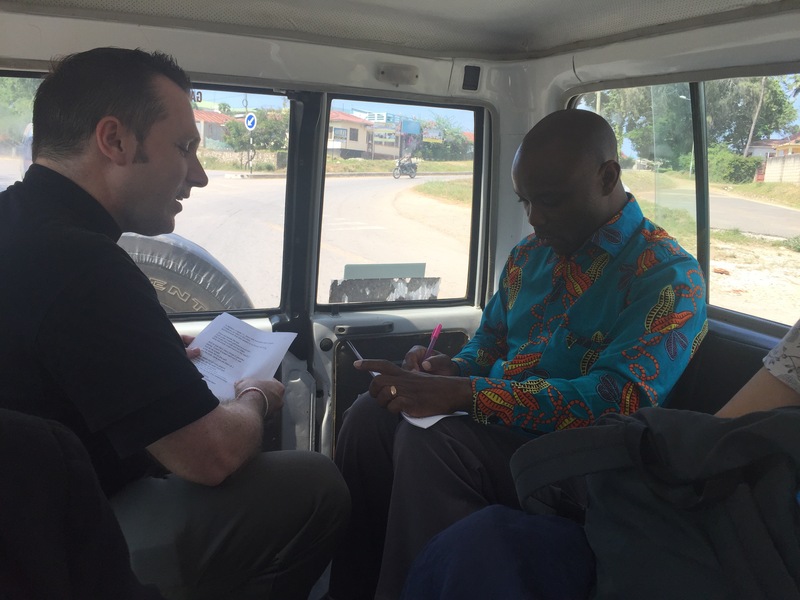 While rolling along the highway, Pastor Ishmael Ngoda and I practiced the sermon that I will deliver with his translation into Swahili. We were surprised and honored to arrive when hundreds were gathered for a ceremony during which young people were received into the adult generation of the tribe. Pastor Moses from Kana Lutheran Parish and other clergy were invited to preside at a worship service and bring God’s blessing and the blessing of the Church upon the rising generation of this nomadic tribe that often remains reclusive, but chose to welcome others on this particular day. During worship I had the profound honor of joining the pastors in blessing individuals. I laid hands upon the heads of 40-50 people asking God to bless them with the gift of faith. It is an experience I will never forget. 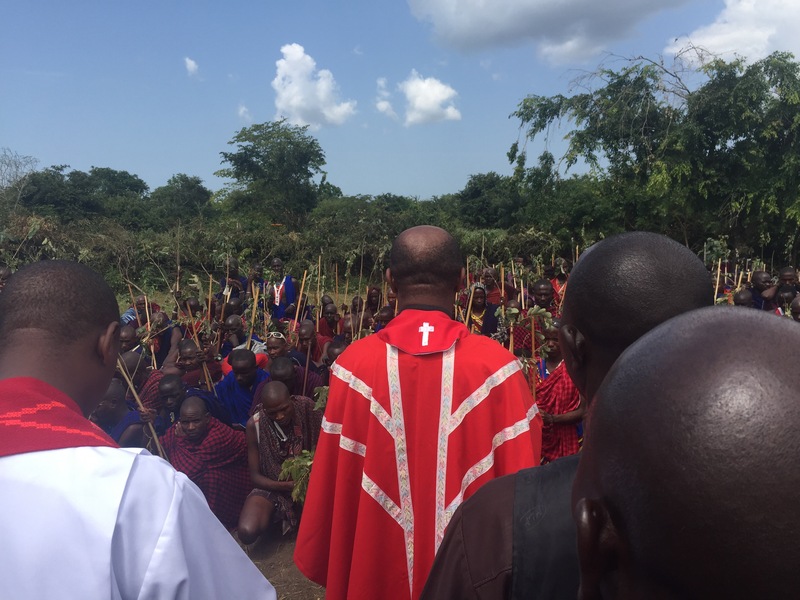 I was also glad to hear religious and tribal leaders use the opportunity of this gathering to communicate to the Maasai people the importance of vaccines and school attendance for their children, which are both development goals that I have advocated for with the ONE Campaign. We retuned to Mikanjuni where we enjoyed lunch provided by the widows of the congregation. 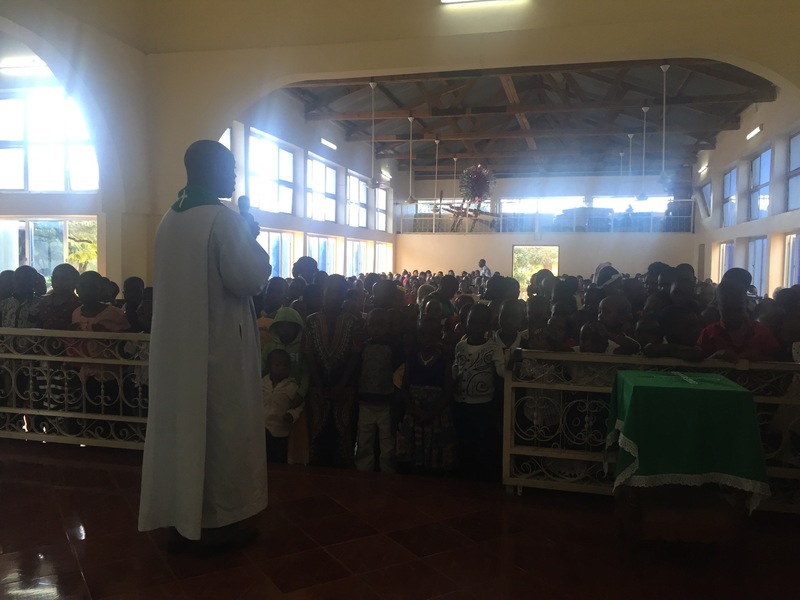 We then visited other Lutheran parishes in Tanga. At Kana Lutheran Parish, the choir and band was preparing for morning worship and they invited us in and they sang and played for us. We then visited Mbuyukenda, which was the site of the first Lutheran church on the continent of Africa. We learned the history from the grandson of one of the first three African pastors. PICTURES ARE ON FACEBOOK. CLICK HERE! The final day of work at ASP began with a lot of rain that began during the night. Morning devotions were held indoors, but the forecast promised that the rain would let up early in the day. Pastor Matt and Luke the Monkey traveled with team Jump in my Jumpsuit today. Their site is in the middle of town, which makes it unique from all of the other sites. Since they are working on a roof, the team was glad to see the rain stop shortly after their arrival, followed by just enough sunshine. After wiping the foam insulation on the roof dry with towels, the team got busy rolling out more roofing material. Other members worked around the edge of the roof attaching termination strip and neatly trimming the edges of the roofing material. 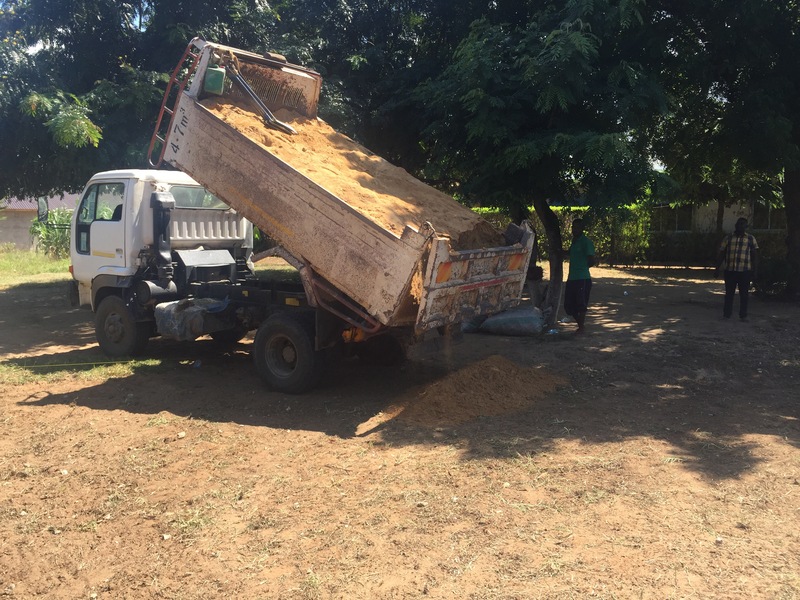 The ASP truck came by late morning and we loaded up a large pile of old construction debris to be hauled off, leaving the family with a clean yard at the end of the week. The crew enjoyed lunch with their family including a fun-loving little dog named Wilbur who performed tricks for pieces of peanut butter sandwiches. After lunch, the team divided in half and rotated between covering the roof and work on the ground, which included trimming materials and painting rocks for the family’s garden. By day’s end the team was proud of the work they accomplished and said their farewells to the family they served. Team Off Tropic did bathroom work beneath the floor to set up the next team for success. They also tackled boxing over an unused door. They also did several small-but-significant jobs that showed their deep commitment to their homeowner’s happiness. Team Urban Jungle finished the porch gate and spent some great time with their family. Team Ruffles & Feathers finished subfloor in the bathroom and kitchen and painting in the bedroom and hallway. Team Nama-Stay the Night built a porch gate and spent some of the day addressing floodwater issues caused by heavy rains. Friday evenings at ASP center around “share circle” where every person shares their “God moment” from the week. Stories were shared and tears were shed. It was awesome. Saint Luke hopes to depart at 5:30-6am Saturday. If all goes well, our return ETA will be 3-4pm.